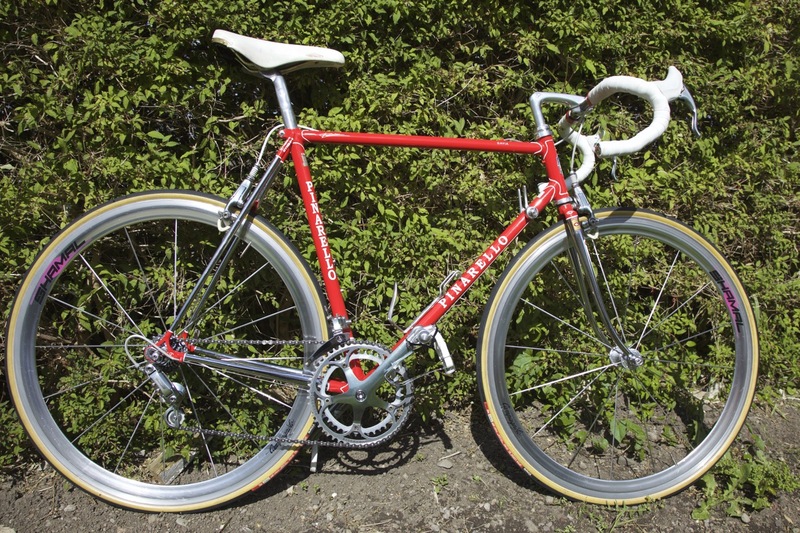 The bike is a newly built Colnago Arabesque with a full late 1980s C Record groupset throughout. This was the last groupset produced before Ergopower was introduced and was sourced mainly from the Internet. The owner is not saying what the final cost was but it certainly was not cheap. The Campagnolo Delta brakes have the black brake ‘bellows’ which would make them the 5th and last generation of this model and would be from the early 1990’s. The cranks are 175mm. In order to keep the bike as close as possible to an original the the fork was threaded so that a C record headset could be used. The Look pedals in line with the 1988 spec. Even the BB is C-Record and was NOS NIB. 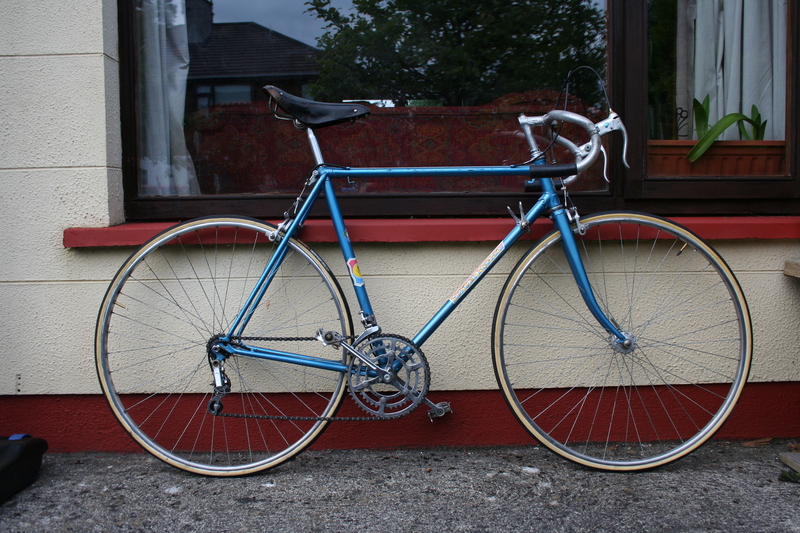 It has Cinelli Giro dItalia bars and a Cinelli 1A stem and a white Rolls saddle. 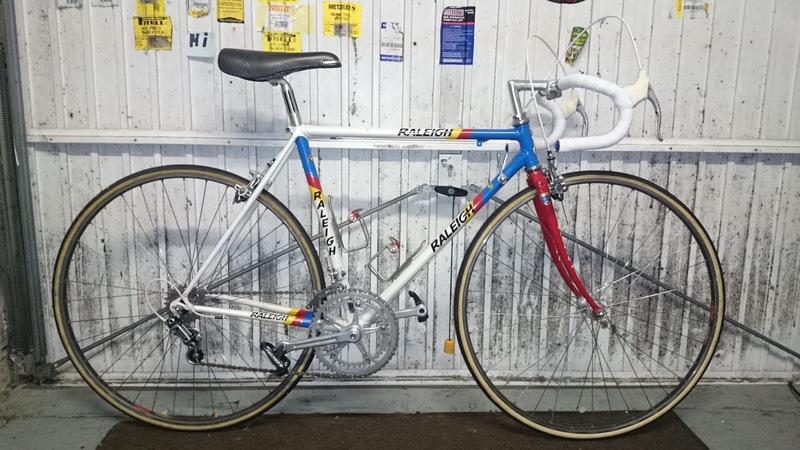 Finally Alan has that he wanted when he started cycling in 1987. I think all will agree that it was worth the wait!